New York-based Cooper Robertson is set to master plan a $2.5 billion ground-up community along the Raritan River in Middlesex County, New Jersey. 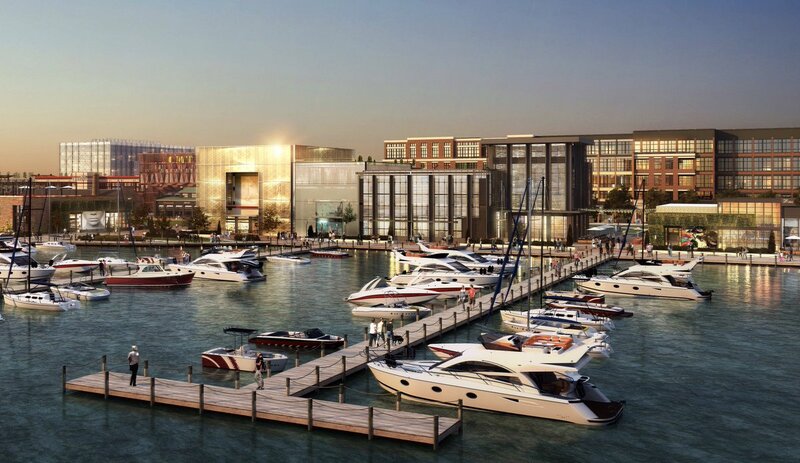 The site’s owner and developer, Atlanta-based North American Properties (NAP), announced the project on Monday and released a first look at what would become the largest mixed-use development in New Jersey’s history. Located less than 20 miles from Manhattan and covering a 418-acre site, the new community combines residential, retail, office and hotel spaces with a fully walkable city layout. Named Riverton, the town will focus on building a street-level pedestrian experience and open waterfront access, including a marina. Cooper Robertson has also filled the plan with public recreation spaces along an unrestricted mile of riverfront esplanade along the Raritan. An update of an earlier 2014 plan, the expanded Riverton will also be the state’s largest brownfield remediation. 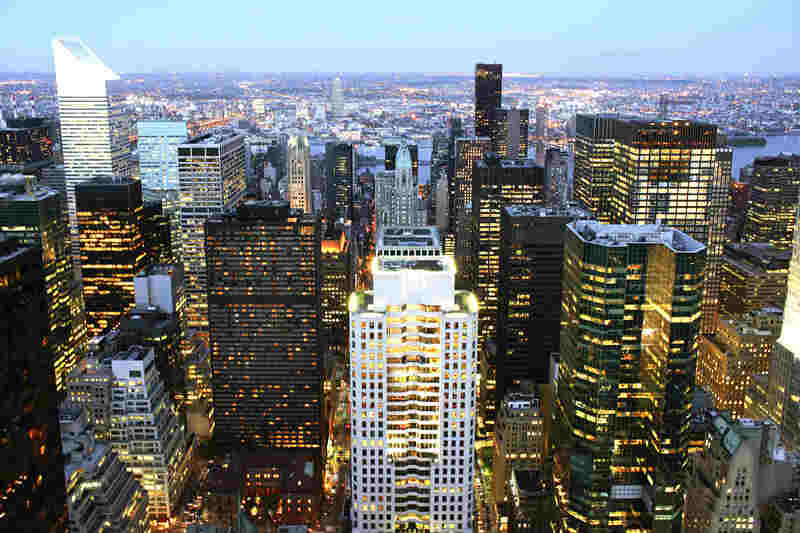 Besides counting on the proximity of the site to the Garden State Parkway to drive demand, NAP is also banking on an influx of potential residents who have been priced out of New York and are looking for a development with a “hometown” atmosphere. Although none of the others can match its scale, Riverton is the latest project to crop up in New Jersey hoping to court New Yorkers as rents on the other side of the Hudson River continue to rise. Cooper Robertson is no stranger to waterfront development. Besides contributing planning work to Hudson Yards in Manhattan, the studio is currently working on a separate 1,300-acre master plan for the Charlotte River District near Charlotte, N.C. Co-developed with New Jersey-based PGIM Real Estate, Riverton is shovel-ready but is still waiting on a new round of local and state approvals. No estimated construction dates have been released at this time, but NAP hopes to complete the 5 million-square-foot project by 2021. 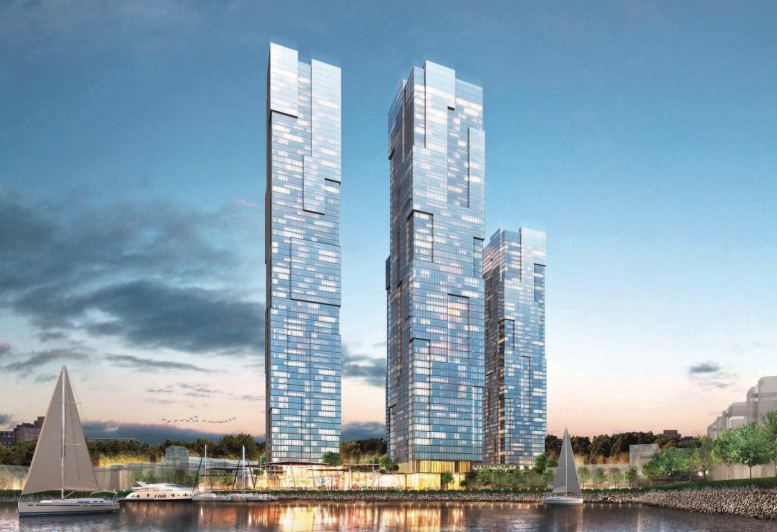 Four new towers proposed for the eastern shore of Edgewater, New Jersey, are set to bring the tiny borough out of the shadows cast by neighboring Manhattan and Jersey City. Providing approved plans for a site at 115 River Road, New York YIMBY has revealed glimpses into a 1,919-unit project that may jumpstart development in a city that has remained mostly low-slung. Built on top of a 50-foot-tall landscaped podium that covers most of the site, the towers would range from almost 600 to more than 700 feet in height and would be split 50-50 between rental and condo buildings. The site’s developer, Fred Dabies, has also integrated a parking structure within the podium, walkable waterfront access, and proposed a suite of amenities for condo owners. The massive, blockish towers would not only dwarf all other buildings in the surrounding city, but also stand taller than any existing residential developments in Brooklyn or Queens. Waterfront property across New Jersey is becoming increasingly valuable along the Hudson River, as development tries to keep pace with rising costs in Manhattan. 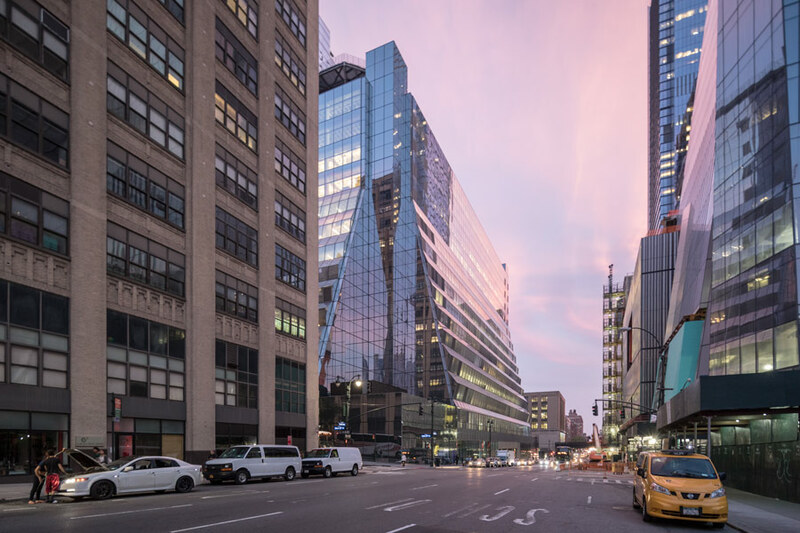 With more businesses moving into Manhattan’s Hudson Yards, it’s expected that office workers will continue to seek out housing across the river. Edgewater is no stranger to ambitious proposals. Thanks to expanded ferry service into the city, combined with building booms in neighboring Jersey City and Hoboken, Edgewater has been struggling to retain its share of lower income housing. The city government is currently fighting with a separate developer at 615 River Road over a similar 1,800-unit project, where Mayor Michael McPartland chose to seize the parcel through eminent domain to head off future construction. 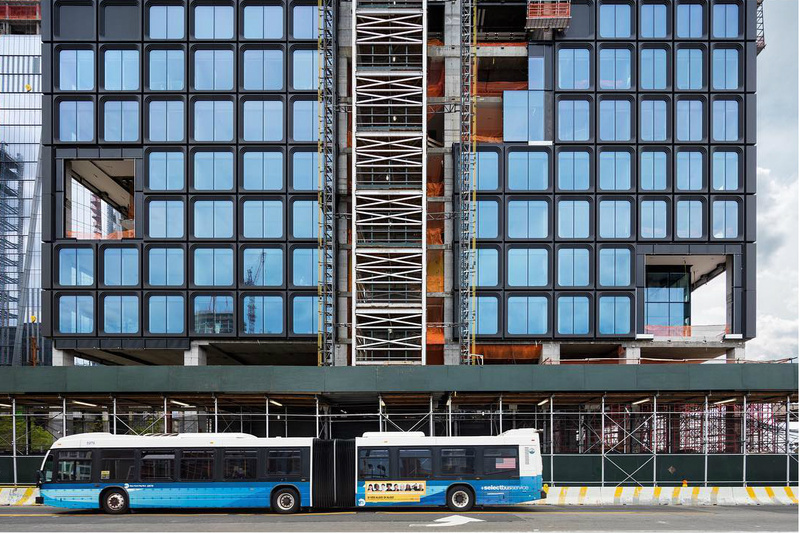 Divided between a population of longtime locals and former New Yorkers who chose to leave for a more affordable alternative, it remains to be seen if the 115 River Road project will continue in its current form or be scaled back. No completion date or names of attached architects have been announced yet. At The Architect's Newspaper, we're plain addicted to Instagram. 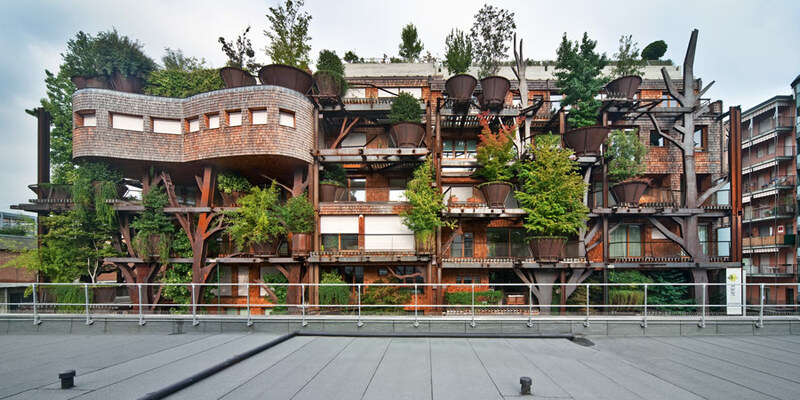 Sure, we love seeing Brutalist concrete through "Inkwell" or "Ludwig" filters, but there's also no better place to see where architects are getting their inspiration, how they're documenting the built environment, and where they've traveled of late. Below, we bring you some of the best Instagrams of this past week! (Also, don't forget to check out our Instagram account here.) Anne Fougeron of San Francisco–based Fougeron Architects was in Lisbon, Portugal, and she enjoyed the shade underneath London-based AL_A’s Museum of Art, Architecture and Technology (MAAT). The ever-on-the-move Iwan Baan stopped by Dia:Beacon and snapped this glowing pic of Dan Flavin's Untitled (to you, Heiner, with admiration and affection). International firm Snøhetta showcased its Snøhetta: Relations installation in Innsbruck, Austria; the angular landscape has served as everything from theatrical stage to gathering place. We couldn't resist: here's some feline Instagram love from Amsterdam-based UNStudio. L.A.-based Oyler Wu Collaborative teased its next project, a large steel structure that will soon be powder coated. 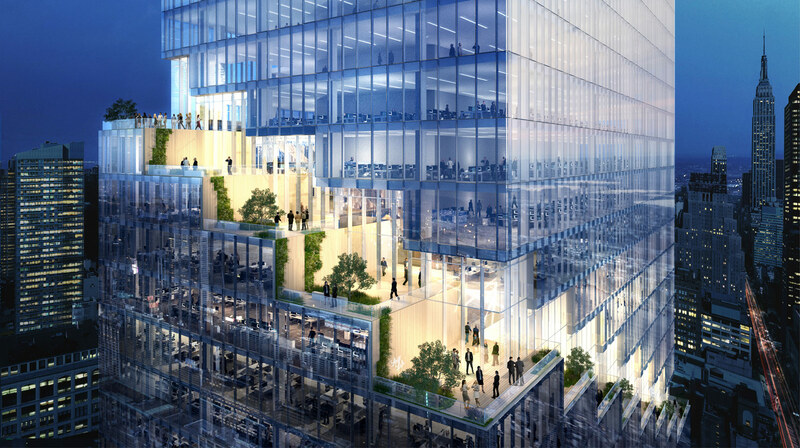 New York–based Kohn Pedersen Fox (KPF) posted this update of the firm's 55 Hudson Yards, which will eventually rise 780 feet and feature several outdoor terraces. Last but not least, also New York–based Steven Holl Architects furnished these fresh photos from its Sliced Porosity Block - Raffles City Chengdu project. The West End Concourse of the revamped Moynihan Train Hall is now open to the public. Designed by Skidmore, Owings & Merrill's (SOM) New York office, the work is the first phase of a wider project that sees Penn Station engulf the James A. Farley Building. SOM's work gives commuters greater access to 17 of Penn's 21 tracks; it also increases the overall floor area of the station complex. 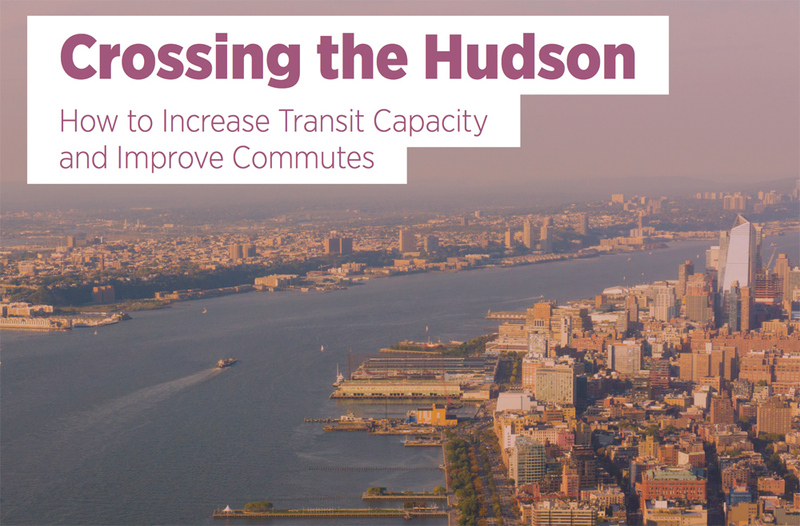 As a result, pedestrian accessibility into the concourse itself has been improved, with people now able to enter from Eighth Avenue—a boost for those looking to live or work at Hudson Yards. Phase Two of the project will see more extensive work done to the Moynihan Train Hall. This will include a new lavish skylight comprised of the building's original steel trusses. SOM has been spearheading the move to rejuvenate the Penn Station for some time. In 1999 the firm submitted a proposal that saw a parabolic, glass-and-steel canopy cover a multi-level concourse that allowed travelers to view the trains beneath. 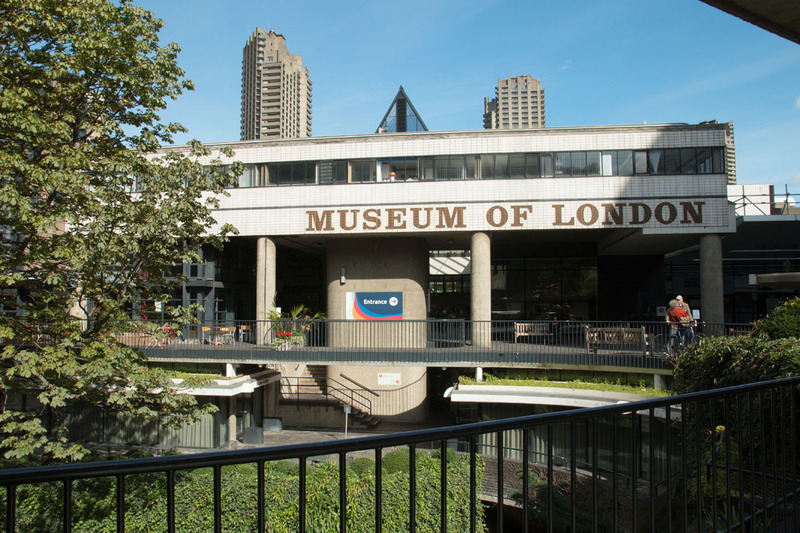 Eight years later, SOM presented further plans, this time with a higher glass and steel roof structure. 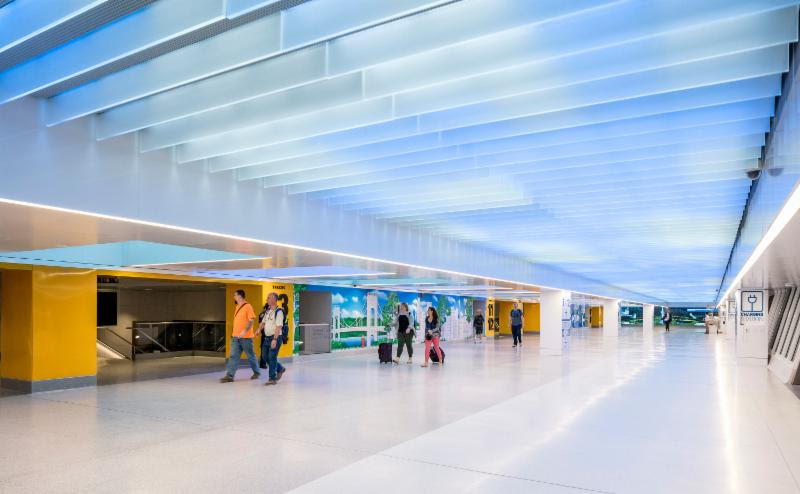 In 2010, the practice's New York arm was awarded the commission to design Penn Station's West End Concourse. Now those plans will be moving forward, with a $1.6 billion price tag. "Our design for Moynihan Train Hall culminates a long-held vision to create a new transportation hub that serves not only as a suitable entry and departure point to our magnificent city, but also a destination unto itself," stated Roger Duffy, design partner at SOM in a press release. 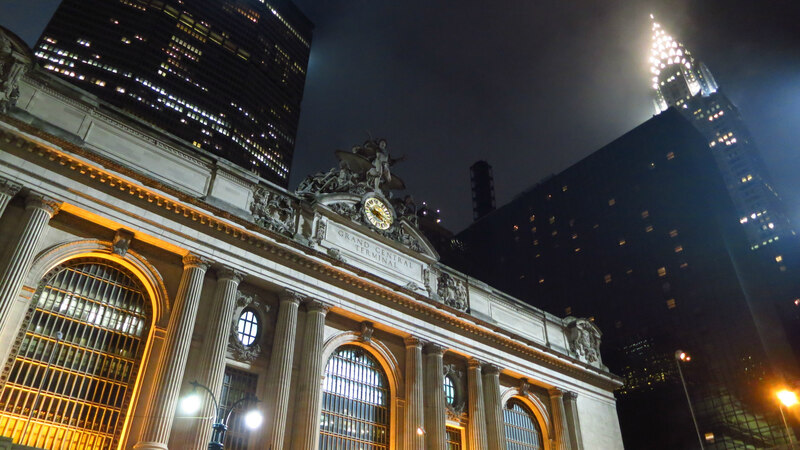 "We are honored to have been involved with this project since its inception and look forward to continuing to make Moynihan Train Hall a new landmark for New York City." According to the same press release, in revealing the plans yesterday, Governor Cuomo said: "The state-of-the-art infrastructure, technology upgrades, and wayfinding improvements of the expanded West End concourse will provide immediate relief for passengers enduring increasing congestion and overcrowding in Penn Station and help New Yorkers get to where they need to go better and faster."